Task cards to teach about respect. The pillar of respect teaching ideas are suitable for grades 2-7. 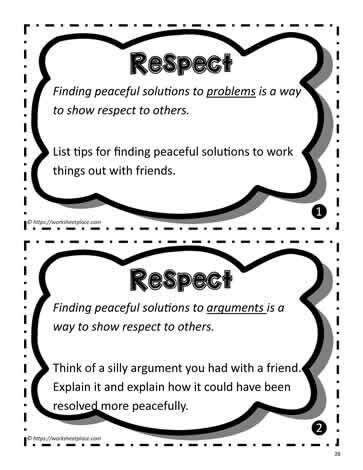 These respect task cards can also be used at the literacy center.